Miracast Wifi Display or Screen Mirroring able to play videos, music, photos, etc in my smartphone with any devices (smartphone, smartTV, laptop, tablet, etc) at anywhere. 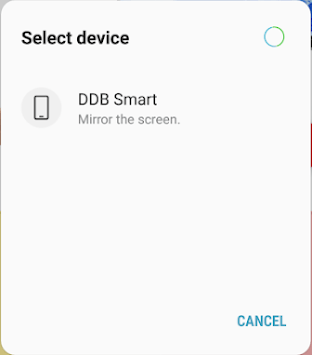 Wifi Display provides an easy shortcut and widget to use the Miracast external display screen casting feature included in Android 4.2 and above! 1. Check your TV wheather it supports Wiifi Display / Miracast. 2. Make sure TV is connected to the same WiFi network as your mobile device. You can't connect it with wired connection (LAN). 3. Make sure your Android device version is 4.2 or higher. 4. Make sure your device inbuilt hardware of Miracast. 5. 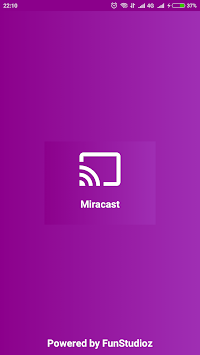 Download and run Miracast App. Firstly App open then click on wi-fi display you will go on cast screen directly. Tap on start wifi of the application. Miracast application should be enabled. Both will connect automatically to each other then you can see same mobile screen show on Smart TV. Ease of Use: The app is fast event in 3g-4g-6g network and easy to browse . Please note: that the app works on 3G, 4G,6G and WiFi connectivity. 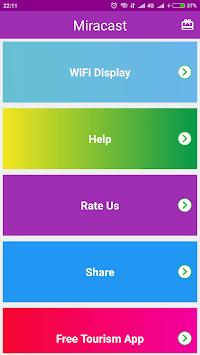 *Free Simple-Swift-Smart Application user experience. *Enhance mirroring & casting feature with fastest technology.